Have you ever wished you could get proven, practical advice on interviewing techniques to help you win your next big job? We’ve recently partnered with Interview Mastery, a company that specializes in just that! So why should you consider a subscription to Interview Mastery? Interview Mastery is the world’s most widely-used job interview program. It boasts more than 54,000 subscribers in 73 countries. 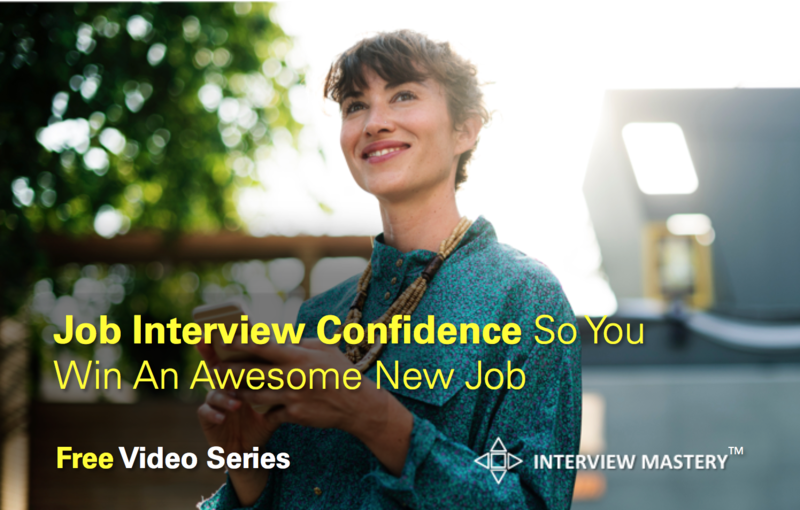 Featuring proven formulas and step-by-step guides, Interview Mastery will help you feel confident handling any situation that might come up during the interview process. There are even quick-start videos to get you ready fast. With over 50 videos ranging from three to 15 minutes in length, you’re sure to find suggestions you can put into action immediately. The modules are conveniently organized into three sections – before, during, and after the interview – so you can find advice tailored to the current stage of your interview process. There’s even a bonus section of additional topics that address specific stress points or situations you may encounter during your job search. In addition, you’ll also have access to fill-in-the-blank workbooks and downloads like Power Notes audio files you can listen to right before your interview so you can be your best at the most critical point of your career. Access your subscription content from any desktop or mobile device so that you can prepare at home or on the go. For an investment of less than $100 a year, you can have access to the full library of Interview Mastery content, to view as many times as you wish. All upgrades and enhancements released throughout the duration of your subscription are included at no additional cost! The best part is, Interview Mastery offers an unconditional money-back guarantee. If you don’t love the program, it’s free to you. We hope you’ll find this as exciting as we do! Why not give it a shot – what do you have to lose? Let Interview Mastery help you show your interviewers how valuable you really are!